This article was updated April 1, 2019. When Passover begins this week, (first seder is Friday night, April 19) those participating in seders -- ritual Passover meals -- will eat symbolic foods like charoset, a fruit and nut mixture that represents the mortar Jews used as slaves in Egypt. The word charoset comes from the Hebrew word for clay, heres. For most American Jews whose ancestors are Ashkenazi, meaning they come from Eastern Europe, charoset hardly varies; the mixture is made with chopped apples, chopped walnuts, sweet Passover wine, like Manischewitz, a little honey, and perhaps cinnamon. Whether your family came from Russia, Poland or Hungary, they probably made it that way and most likely still do. But for Mizrachi Jews – whose families come from the Middle East, North Africa and the Caucuses – the traditional staple is entirely different, and it varies from country to country. Just as apples are the main ingredient in the European version, dates are a staple in the Arab world, and so they are found in nearly every Mizrachi recipe. Jews from the East are also more likely to use fruits mentioned in the Bible, so figs and raisins are also common. While cinnamon is commonly used in Arab versions, many more spices are likely to be found with it, like cardamom, ginger and nutmeg. The consistency is also different. 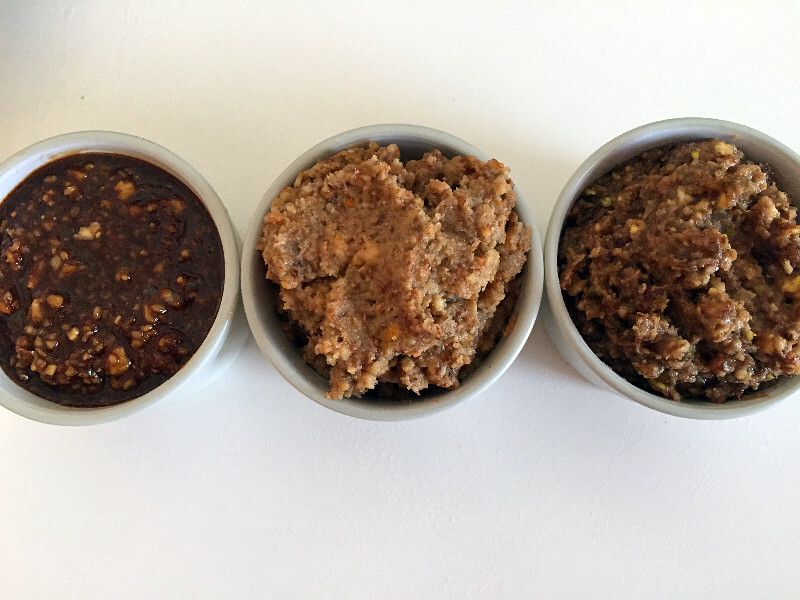 While the apple and walnuts version doesn’t much resemble a paste, Mizrachi versions hold together much better. In some countries, like Morocco and Libya, the charoset is sometimes rolled into balls, something that can’t be done with the chunky apple version. While my family is as Eastern European as they come, my aunt introduced an Egyptian charoset recipe to our Passover table many years ago. While we always have a small bowl of the Ashkenazi apple version on the table for nostalgic purposes, we usually make twice as much of the Egyptian one, knowing it’s now the new family favorite. I’m hosting my family for Passover this year, and so rather than go back to our tried and true Egyptian version, I talked to some Bay Area residents about their family recipes. Maybe you’ll want to introduce a new tradition at your seder this year. Simcha Canoush lives in the West Portal section of San Francisco. Her family lived in Baghdad for centuries, and she comes from a long line of rabbis. Her family left Iraq in 1951 for Israel, and she came to the Bay Area in the 70s. Rather than called charoset, in Iraq it’s called helayk. To make it, dates were simmered in hot water until soft, and then the liquid was pushed through cheese cloth. Walnuts would then be pounded in a sack with a hammer into pieces, and mixed together with the dates. Now, of course, it’s much simpler to make. Canoush buys date syrup either from Iraq or Israel (it can be found in Middle Eastern groceries), and she grinds her walnuts in the food processor, and then stirs the two together. While Canoush sometimes makes other versions of charoset as well, she said this one is always the most popular at her table. I suggest adding a bit of flaky sea salt to really bring out the flavors. San Jose State English Literature professor Dalia Sirkin was born in Libya, and came to the United States via Italy. Her mother was among those that rolled the charoset into balls for serving. Sirkin, who lives in Menlo Park, begins by peeling and grating an apple (this can be done in the food processor.) Then she adds the nuts; she usually uses a combination of walnuts, almonds and hazelnuts. Dates are once again the main fruit here, and she also adds a splash of grape juice and half an orange. When it comes to spices, Sirkin uses cinnamon, but only the tiniest amount, since it can easily overpower everything else. She also uses cardamom, and lots of freshly grated nutmeg. 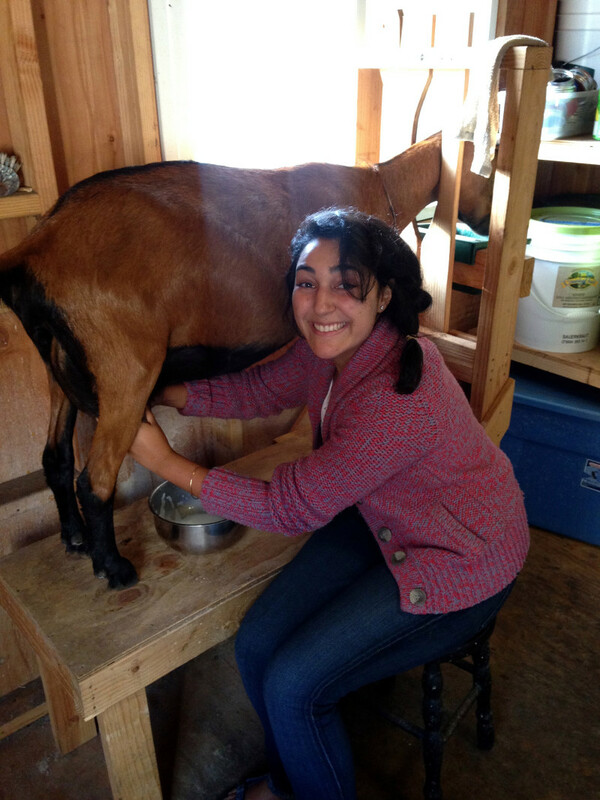 Asal Ehsanipour of San Mateo, is a recent college graduate and recently completed an organic farming fellowship. While she was born here, a typical Persian charoset recipe is always on her family’s seder table, as her parents are originally from Tehran. While it has a bit in common with the Libyan recipe, above, it also deviates quite a bit. The nuts used are almonds, walnuts and pistachios, of course, as they are always found in Persian cuisine. Hazelnuts and cashews are optional, Ehsanipour said, and all should be unsalted. I peeled and shredded half an apple for this recipe, and did that first in the food processor and then removed it to grind the nuts. I then added a bit of grape juice, the dates and some raisins. I then added the shredded apple back in, and half a mashed banana. A bit of sweet Passover wine is optional, as is pomegranate juice (I recommend both to add acidity). The paste is then spiced with a dash of cinnamon, ground cardamom and ground ginger. 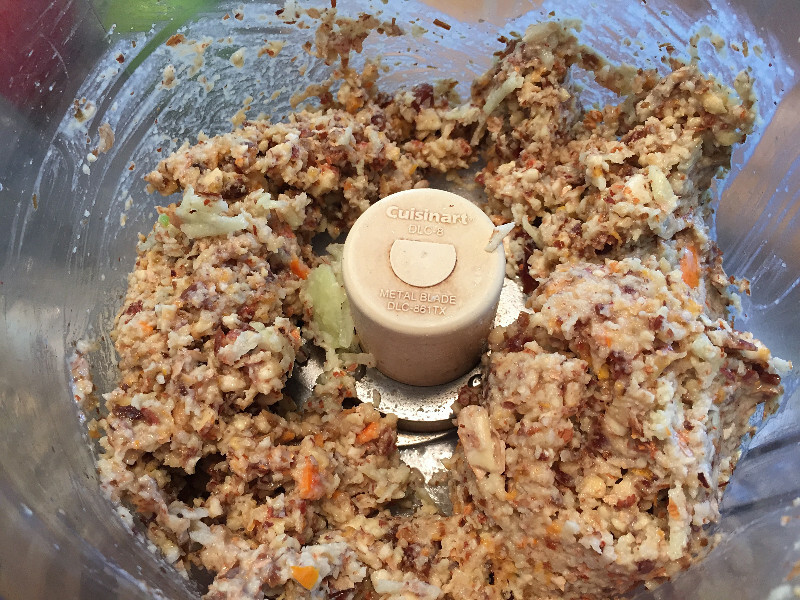 Pulse walnuts in a food processor until ground into small pieces. Scrape them into a bowl. 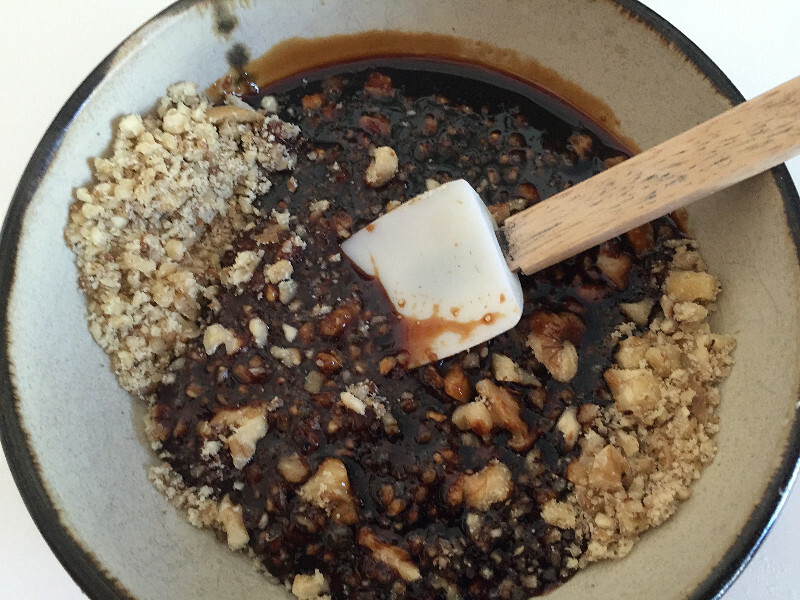 Add the date syrup and mix until consistent. Add lemon juice to taste. Shred the apple using a food processor or a box grater. 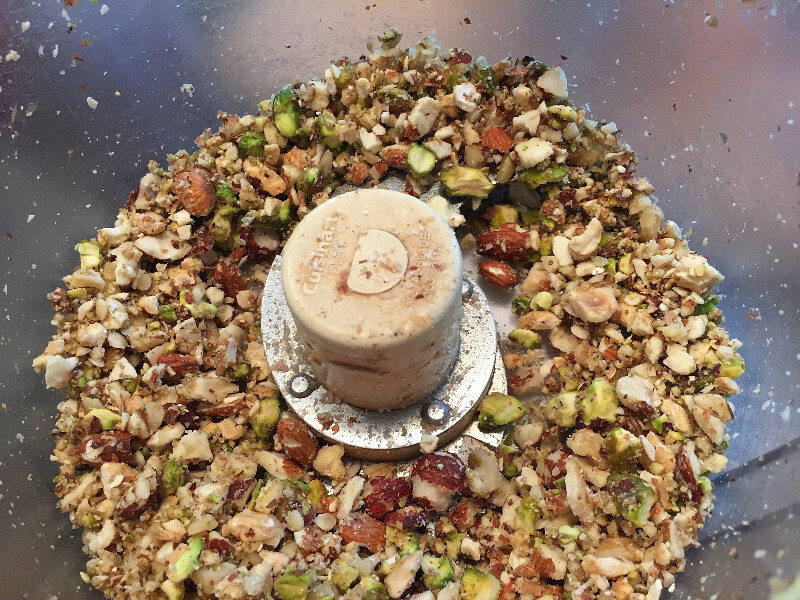 Pulse the nuts in the food processor until ground into small pieces. Put into a bowl, and stir in spices. 1 cup mixed nuts (pistachios, walnuts, and almonds). Cashews and hazelnuts are optional. Shred apple on a box grater or in a food processor with the shredding attachment and set aside. Pulse nuts in food processor until just ground. Add grape juice, dates and raisins and pulse until just combined. Add banana and apple, wine and pomegranate juice, if using. Pulse some more until just combined; there should still be some texture and it shouldn’t be completely smooth.